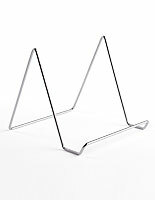 Wire Easel is a Foldable and Adjustable Display Stand. 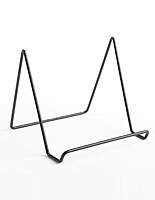 This wire easel provides a means of displaying books, cookware, electronics, CDs, DVDs, stationery and much more. Retail stores often use these risers to create a multi-dimensional merchandising display. 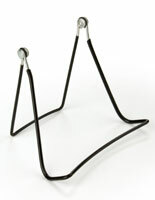 The countertop stand, wire easel can be adjusted to the desired display angle. Simply squeeze or pull the two segments to make adjustments. 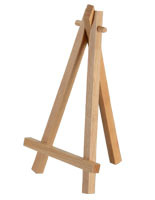 This wire easel makes displaying collectibles, china or decorative art pieces a breeze. The stand's simple design works with any décor, from classic to trendy. 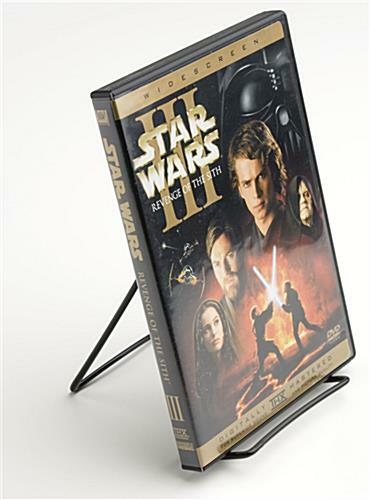 This countertop riser includes a 1-1/2"d lip to secure collectibles or merchandise. 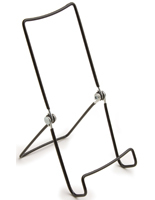 The coating on this wire easel also helps to minimize marking on delicate countertop surfaces. 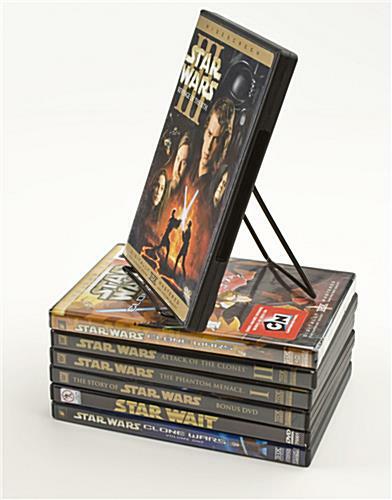 Buy these adjustable metal risers to elevate a book or featured item in a retail store. This book holder, wire easel is made out of vinyl-coated steel wire. 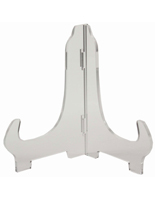 This metal riser with a protective coating is perfect for gift shops, bookstores, libraries and retail stores. 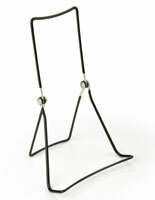 This wire easel, also known as an adjustable wire display, folds for easy portability and storage. Tradeshow exhibitors, travelling salesmen and product demonstrators use this tabletop riser to hold specific items or products. 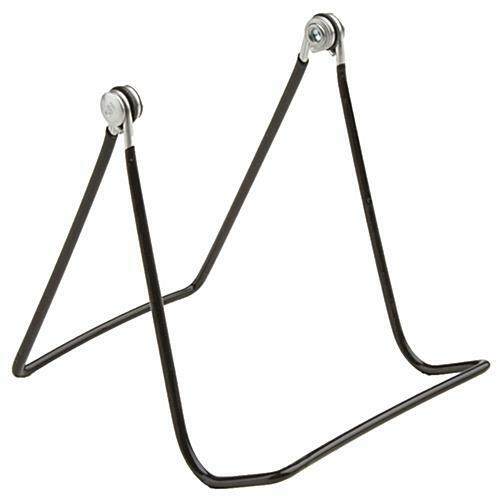 This wire easel, such as a small stand or foldable holder, is very popular in mall kiosks, art galleries, and book signings. We offer this riser with same day shipping, and discount pricing for bulk buyers. 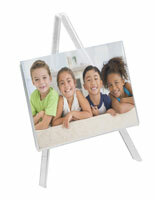 This wire easel offers many display possibilities, due to its size and compact design. These work perfectly to hold books of all sizes. They are sturdy and it's nice being able to customize the viewing angle. We're so happy to hear it, Karen! Thanks for the awesome review! We have a large bookstore and these are PERFECT for CDs, movies and books. Would also be great for any number of retail items. We could not find them anywhere else at this price - love it. Thanks Daniel! We're glad you love them, thanks for the great review. They are great quality, easy to use and fold up for easy storage. Thanks so much for the great review, Shannon! Thanks for a great review, Rachel! Great product for displaying cds and books! Thanks for a great review, Remaliah!